Where can you buy 913 Kalashnikovs? How do you tell a friend her expat love is never coming back? What’s it like to date a mercenary? 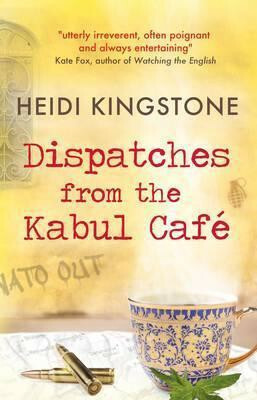 In 2007, Canadian journalist Heidi Kingstone arrived in Kabul, eager to uncover the mysteries and shadows of one turbulent corner of the world. Over the next four years, she encountered idealists and chancers, gunrunners and warlords. She interviewed generals and partied with powerbrokers and fashionistas. A passionate advocate for women’s rights, she witnessed women as heroes, as victims, as freeloaders, as rivals. Heidi’s account of the last years of ISAF-controlled Kabul is vividly atmospheric, deeply personal and at times shockingly painful. From air bases to brothels, she tells of disastrous development programs and hopeful couplings against the backdrop of our longest war. But as her friends fall victim to ambush, kidnap and suicide bombing, no amount of booze and adrenalin can soften the devastating realities of NATO’s new Afghanistan.